one red paperclip - Kyle MacDonald: The World's Largest Red Paperclip! The World's Largest Red Paperclip! That'sa, biga, reda, paper-clip, huh? Word on the street is that Dubai was home to the previous world's largest paperclip. I think it's probably a good idea for Kipling to instigate a paperclip-off with Dubai, seeing that Kipling could also one day turn into a burgeoning trading metropolis overseen by billionaires hellbent on breaking every standing world record ever created. One day. Maybe. So, I guess I need to say, bring it on Dubai! 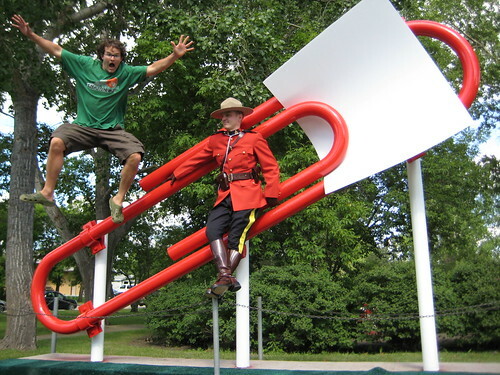 Kipling's giant red paperclip is located just behind 503 Main Street in Bell Park, and can be enjoyed by children of all ages. (And Mounties) So swing on by! We had a great time at the dedication ceremony! The best part is the paper clip in the background behind you and the Mountie. All because of a paper clip? Incredible! wow man you are doing a great job! After I read your book, I wanted to do the same thing you did. Start of with a small object, and maybe end up with a laptop or something I will use or need at my age! That's probably the coolest thimg I've ever seen! You have spawned a breed of people trying to emulate you. Me included! Keep up the good work mate! Wow! Look at that clip! 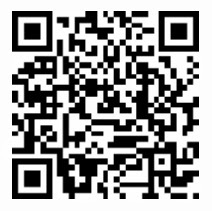 That's totally cool! Awesome! If i ever get to visit your hometown, that will be one of the first things of my list to visit! And i kid you not!